Our Upper Marlboro Maid Brigade customers don’t spend their weekends chasing dust bunnies. 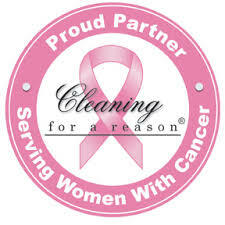 In homes across PG County, our clients have come to expect reliability, trustworthiness and consistency when choosing to have their home cleaned by our organization. Since 1989, our housecleaning professionals have been providing people with a respite from everyday chaos, and now, a healthier way to live. 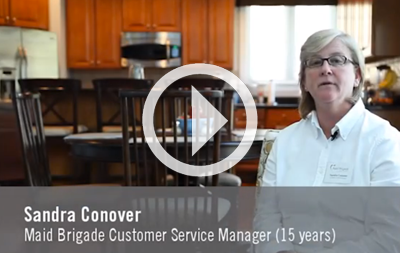 What sets our company apart from the other cleaners? For a start, we use a Certified Green Cleaning System. This ensures that you will no longer be exposed to toxic products and irritating fumes that are often mistaken for a ‘clean smell’. With this system, more bacteria and potentially harmful air particulates are removed than any other system available in residential housecleaning today. Green Clean Certified means our Upper Marlboro Maid Brigade, combines the greenest processes, equipment and solutions to give you the healthiest clean available. When you hire us to clean your home you can count on professionalism, trustworthiness, reliability and exceptional knowledge. Our house cleaners are employees and are trained continuously so you will always experience the same great clean. We hire new cleaning professionals mostly on referral from our tenured maids. Also, the company is licensed and bonded and insured – giving you peace-of-mind every time you come in to your home. As your local Maid Brigade, we make sure we background check every house cleaner so that you can hand them your house keys with a smile. Our customers in also appreciate all the little things that come from dealing with an established and highly experienced maid service such as ours – whether it is our pet-friendly house cleaners who truly like animals, to flexible scheduling or a last minute seasonal deep cleaning. We also pride ourselves in fitting in those one-time cleans and handle any and all comments or concerns you might have to. Unlike most service, we have a live, local, bi-lingual speaking customer service staff available to address your every need with a smile from Monday through Friday, 8-5:30. This is what type of service you get from us - you’ll find Maid Brigade of Upper Marlboro is raising the bar, once again, on how a maid service should serve you. If you’re interested in chasing your family and pets in a game of tag instead of chasing dust bunnies, then join your neighbors in trusting our Maid Brigade of Upper Marlboro to make your home the cleanest, greenest and healthiest it’s ever been. Areas Serviced: Upper Marlboro including Accokeek, Aquasco, Brandywine, Camp Springs, Cheltenham, Clinton, Ft. Washington, Kettering, Largo, Marlton Marlow Heights, Oxon Hill, Piscataway, Rosaryville, Silver Hill, Tantallon, Temple Hills and Woodyard.